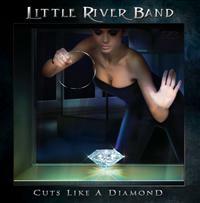 LITTLE RIVER BAND is one of the most successful Aussie bands of all time. You may refer to other bands from down under but this lot has managed sales of more than 30 million albums. The current band is not really the original band, and none of the founding members are still in the band. The torchbearer of today´s version of the band, bass player Wayne Nelson, entered the ranks in 1980, but their winding history is too much to handle here. LRB had their commercial peak in the mid-seventies, but still tour heavily and, no doubt, enjoy the success of their 23 album history (all album types included). Today the band consists of Wayne, guitarists and vocalists Richard Heering and Greg Hind, additional guitarist Stephen Housden, keyboard player and vocalist Chris Marion, and drummer Ryan Ricks. This is all very sedated and big country friendly light rock. From the first chord I know why their history has simply passed me by. Still, on the positive side I note vibes of JOHN FARNHAM, who was once a member, and storytelling with a lot of emotions and sensitivity quite close to JOHN WAITE. The songs doesn´t really linger with me, but I quite like “Forever You Forever Me”, “What If You´re Wrong”, the rockier “Who Speaks for Me” and the thoughtful ballad “Love Is”. The refrains are very good in general but the setting is not for me. But if you´re penchant to a bit of extremely gentle and light rock with refrains akin to craftsmanship – this is an album for you.